Laura McKowen is a writer, yoga teacher, speaker and recovery advocate. She writes an internationally recognized, award-winning blog at LauraMcKowen.com and is the co-host of HOME podcast, a show that takes up the big questions of life through the lens of addiction recovery. Laura earned her MBA from Babson College and worked in advertising and marketing for fifteen years, where she led international teams and managed what she calls "stupidly large marketing budgets" for Fortune 50 companies. 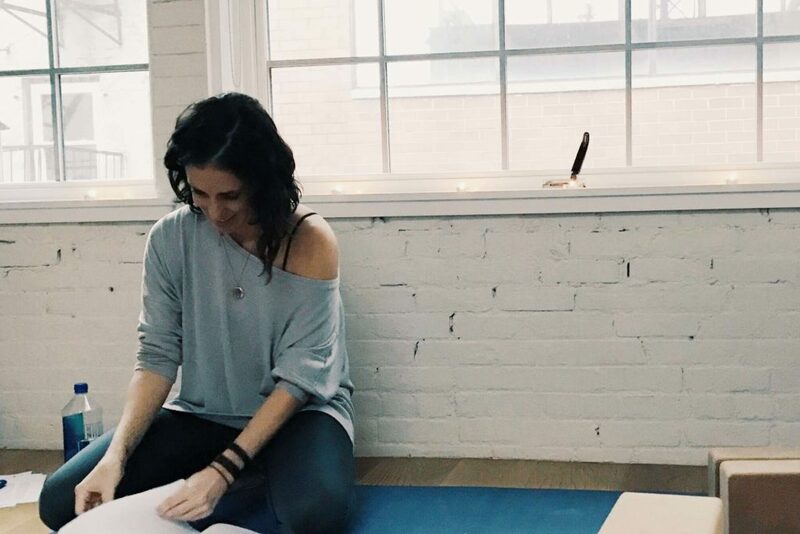 In 2016, she made the leap to entrepreneurship and now writes, teaches yoga-based workshops and retreats all over the U.S., and consults on marketing, personal branding, and online business strategy. Laura lives with her daughter on the north shore of Boston and is currently writing her first book, a memoir. In this episode, Laura shares one beautifully honest story after another, covering everything from sobriety to motherhood to work and writing and more. She talks about how difficult it was for her to get sober, and we dig into the damaging cultural depictions of drinking that keep many of us stuck. We also talk more generally about the many challenges of trying to change your life and the frustration when change winds up taking much longer than you hoped. Laura tells us her thoughts on the purpose of pain, the healing power of writing, and how to tell the actual truth about your life. This conversation was an absolute joy for me, and Laura's openness makes it truly one of my very favorite episodes to date. I hope you love it as well!